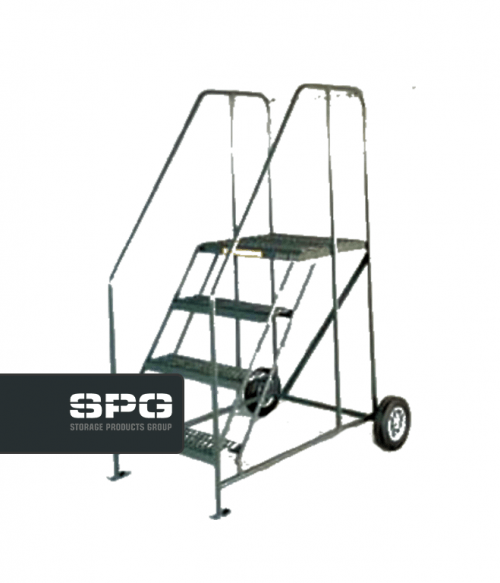 Maintenance rolling ladders are an excellent multipurpose ladder that virtually any organization in any industry can use on a regular basis. Whether you have production applications or you’re just needing more access for your personnel on the shop floor, the versatile designs within this category will help you get the job done. What sets the maintenance ladder apart from the other rolling ladder designs that are available right now? Improved Ease in Transport. 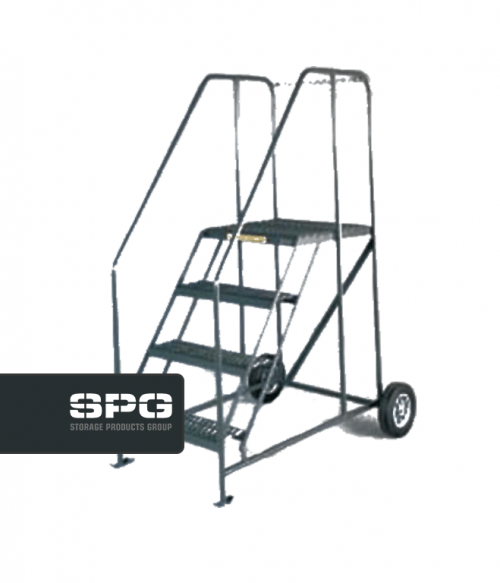 Virtually anyone can pick up one of these rolling ladders and move it to a new location. Even if the ladder is manufactured with top-grade steel, the wheelbarrow designs allow for an almost effortless movement. Multiple Step Options. Maintenance ladders generally come in 4-7 step configurations, allowing you to have the versatile vertical access that is required for your specific location. Added Safety Features. From grips that may be present on the handrail for easy transportation to safety chains on the extended top platform, every ladder in this category meets or exceeds current safety regulations – and your expectations. 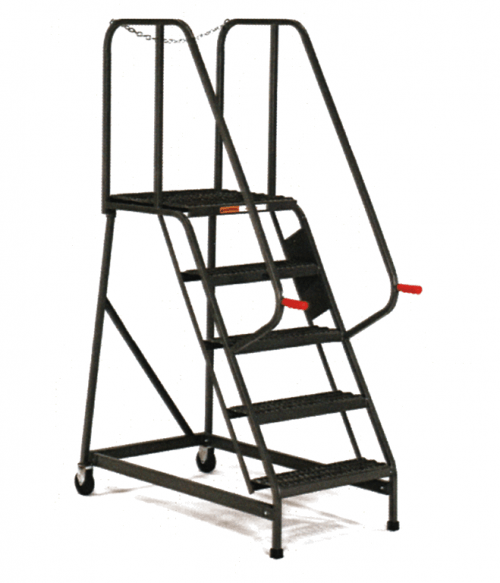 When you have personnel that are always on the go and their job duties require them to have vertical access to specific items, the maintenance rolling ladder is a go-to solution that will bring your organization a tremendous amount of value. We may require a lead time of 10 days or greater for your new maintenance rolling ladder, depending on the features and manufacturer you choose. Our team at Factory Equipment can also work with you to customize a rolling ladder if none of the options currently available satisfy your current needs. 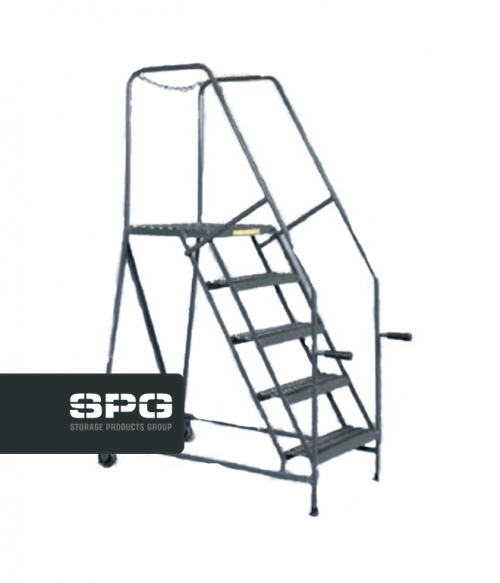 With a rated capacity of 450 pounds, these sturdy steel maintenance rolling ladders help your personnel maximize their productivity. If you’re ready to limit your downtime, then you’re ready to see what these excellent ladders are able to do from Day #1.